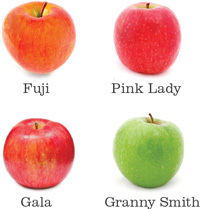 • California’s largest volume supplier of apples. • Highest quality from Northern California’s cool microclimate. 3 & 5lb mesh and poly bags available for each variety. Product can be packed with or without stickers. Custom clamshell packs available upon request.